Action for Refugees are delighted to welcome Anna Jones, RefuAid co-founder, to campus to speak about the innovative work of this award-winning NGO. RefuAid was founded in 2015 in an effort to provide a practical response to forced migration for refugees and asylum-seekers living in the UK. Their primary focus is to provide solutions to the main barriers facing refugees trying to restart their life in the UK: finance, re-qualification and language tuition. 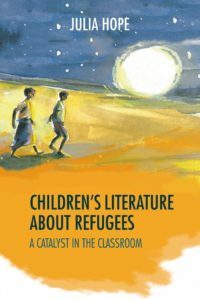 This seminar welcomes Julia Hope, author of, ‘Children’s Literature About Refugees: A Catalyst in the Classroom’. This book addresses one of our most pressing global issues – often called “the migrant crisis” – in a form accessible to younger children. 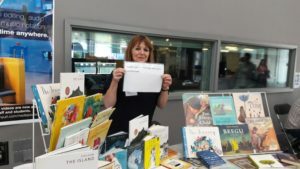 For child refugees to feel that their experiences are validated, and for others to understand their situation, engaging with the growing field of children’s texts on the subject is crucial. Teachers also need to be encouraged to find ways in to tackle such challenging topics, with fiction providing the perfect catalyst. In exploring the use of Mary Hoffman’s The Colour of Home and Beverley Naidoo’s The Other Side of Truth in the classroom, this book is indispensable for educators in the younger age range, and for researchers who are interested in controversial children’s literature. Organised by the Faculty of Education and sponsored by I4P, this event will take place in the Faculty of Education, room E1.